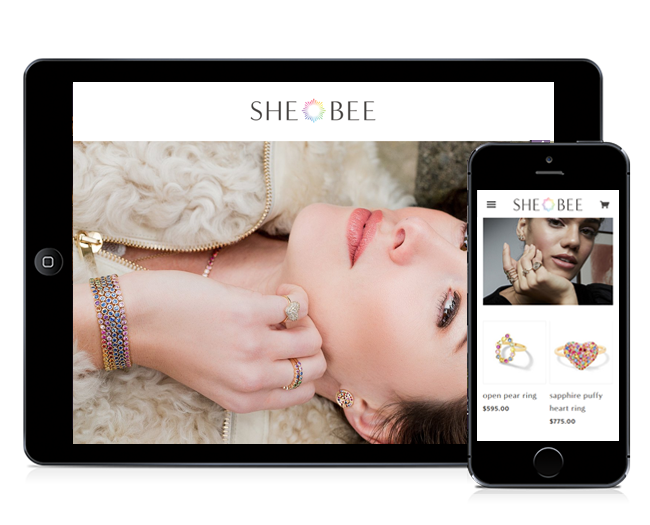 SheBee, a fine jewelry brand, approached Van West Media to re-envision their website. One of the primary goals was providing users with a new and engaging introduction to the brand and an intuitive and sophisticated online user experience. First, our design team came up with a new logo that was fresh, compelling and in-line with SheBee’s vision for the brand. We then turned our attention to the design and development of a new website. Our team performed a robust competitive analysis that led to an extensive information architecture overhaul. Our goal on the front-end was to rethink the existing retail site to increase engagement while also converting more visitors into customers with a new shopping and check-out experience. 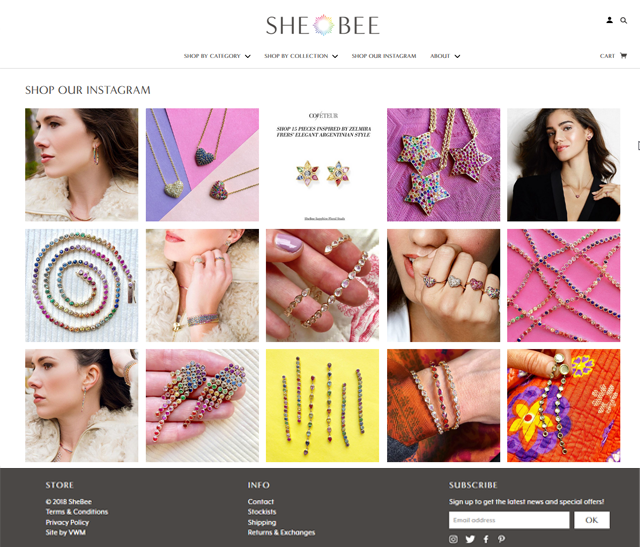 Our goal on the back-end was to create an easy to use content management system for SheBee so that products, images, and transactions could be updated and managed seamlessly.